As America’s gardeners dig, plant, weed and grow lettuce, beans and tomatoes in their vegetable plots this summer, they are part of a tradition that harks back to the beginnings of the United States. Just by working on a compost pile this weekend, garden historian Andrea Wulf says you’ll be in good historical company. And, you’ll be making a powerful political statement at the same time. 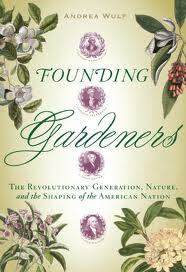 Her new book “Founding Gardeners — The Revolutionary Generation, Nature and the Shaping of the American Nation” is published by Knopf. 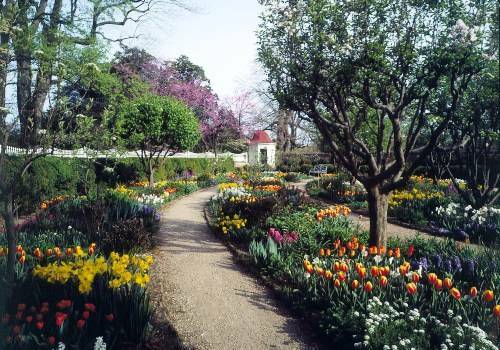 The formal flower garden or “upper garden” has been restored to reflect George Washington’s design and features varieties of heritage flowers mentioned by visitors and by Washington’s gardeners in their weekly work reports. Flowers in the garden include larkspur, foxglove, crown imperial, cardinal flower, jasmine and guelder roses. Read more about Mt. Vernon and touring other remarkable gardens throughout the world at Garden Visit.